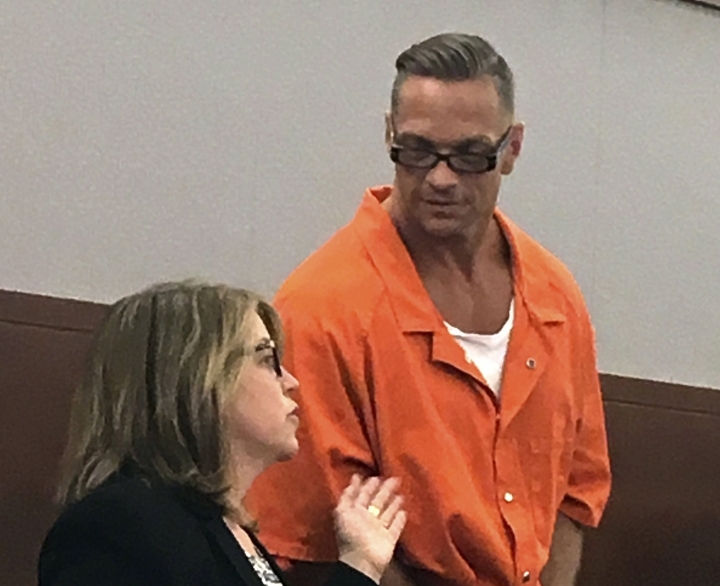 LAS VEGAS — The apparent suicide of a Nevada death-row inmate who said he wanted to die and tried several times to kill himself amid court fights and postponements of his execution has renewed a debate over his treatment and the death penalty itself. Attorneys for Scott Raymond Dozier, who was not on suicide watch when he was found dead in his prison cell Saturday, lamented the twice-convicted killer's death. 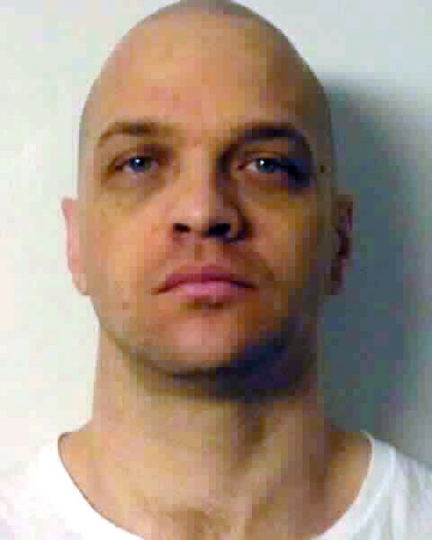 His executions were canceled in November 2017 and July 2018 amid legal battles over a three-drug combination that had never been used for a lethal injection in the U.S.
"The system, I think, is broken and it's hard on everybody," defense attorney Thomas Ericsson said. Just minutes after taking office Monday, Democratic Gov. Steve Sisolak referred to Dozier's death and said he talked recently with outgoing Republican Gov. Brian Sandoval and prison officials about Nevada's capital punishment law. He said he would await the results of an ongoing investigation. "We can't execute anybody even if they're demanding it," said Scott Coffee, a deputy public defender in Las Vegas who wants capital punishment abolished in Nevada. "The legal process and the mental health effects on people who are sentenced to death has become the mental equivalent of torture." Dozier, 48, had suspended appeals of his sentence and said repeatedly he wanted to die rather than live his life in prison. He had complained in a federal lawsuit in November that being placed on suicide watch three times and administrative segregation once in the previous year was "blatantly unconstitutional" and cruel. His attorneys reported that while under observation, he was stripped to his underwear and placed in an infirmary cell with only a mattress and a blanket. They also revealed that he apparently cut his neck and wrist in October. They said Dozier was found to have tried to obtain drops of a deadly drug on a piece of paper sent through prison mail and had somehow obtained razor blades behind bars. A state prison psychologist who examined him concluded in October that Dozier was "secretly seeking an outlet to end his problems, worries and stress." She said the prison could not afford to lose Dozier to suicide and called it "clinically best to be safe than sorry." However, Dozier was not on suicide watch Saturday. He was housed alone in the death-row cell where he was found with a noose fashioned from a bedsheet tied to an air vent, prisons spokeswoman Brooke Santina said. If Dozier had been on suicide watch, he would have been in an observation cell with little clothing, a tamper-resistant mattress and a blanket made of quilted canvas designed not to be ripped, torn or bunched up, Santina said. White Pine County Sheriff Scott Henriod said there was no indication of foul play. An autopsy is pending. Both the defense attorney and the prosecutor who handled Dozier's 2007 conviction in a 2002 methamphetamine robbery and killing of 22-year-old Jeremiah Miller in Las Vegas all referred to the starts and stops of the case. Dozier also was convicted in Arizona of second-degree murder for killing 26-year-old Jasen Green in 2002. Prosecutor Giancarlo Pesci said Miller's family was involved in the case for more than 16 years. "It's been such a long and emotional process," Pesci said. "Clearly, the Nevada Department of Corrections had reason to be concerned that he was suicidal." Nevada now has 79 people on death row, Santina said. Dozier would have been the first inmate executed in the state since 2006. Three drug companies who don't want the state to use their products in an execution have cases pending that stem from Dozier's planned lethal injection, including a Nevada Supreme Court challenge. "The delays caused by the criminal justice system and the civil litigation brought by the drug companies have been hard on the victims' family and Scott and his family," Ericsson said. Associated Press Writer Scott Sonner contributed to this report from Carson City, Nevada.